Home » Giveaway – Win a They’re Watching Prize Pack! It’s giveaway time again at Wicked Horror! This time we’ve teamed up with the folks at Falco Ink to give one lucky reader an amazing prize pack from the horror comedy, They’re Watching! Read on to find out just what is included in this prize pack, and how to get your chance to win! 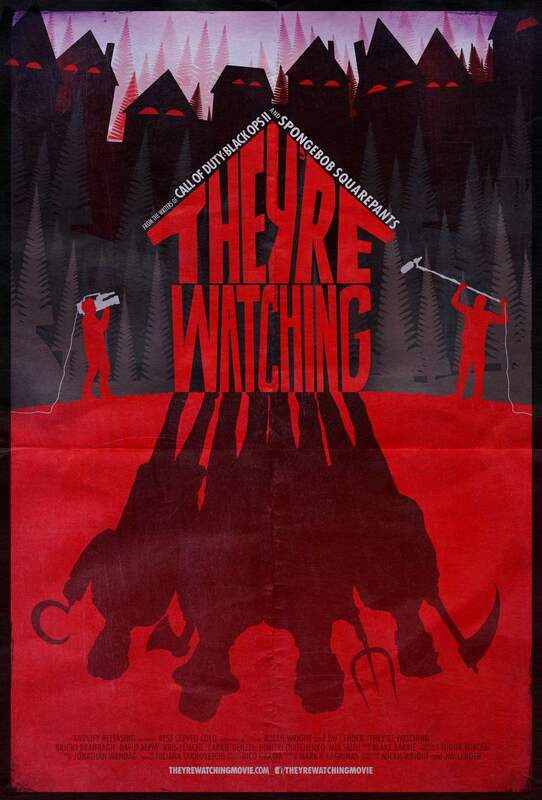 They’re Watching was released in theaters and on demand on March 25th. It was written and directed by Micah Wright and Jay Lender, and stars David Alpay (The Tudors), Brigid Brannagh (Army Wives), Kris Lemche (Haven), Carrie Genzel (All My Children), and Mia Faith (Dracano). From Falco Ink: “With They’re Watching, noted graphic novelists and animators Micah Wright and Jay Lender turn a classic horror premise upside down to create a fresh, funny, eye-popping twist on the genre.” Take a peek at the trailer below to see what they’re talking about! Entering to win this nifty prize pack is easy! Just send an email to Wicked Horror contributor Michele Eggen at seeno_evil63@yahoo.com with the subject line “They’re Watching Prize Pack” and include your FULL NAME and VALID MAILING ADDRESS in the body of the mail. That’s it! You have until TUESDAY, APRIL 5th to get your submissions in, and ONE winner will be chosen at random. Please note that this contest is only open to our readers in the U.S.
Get those emails sent today for your chance to win! Good luck! Win a Signed Copy of Nightbreed-Inspired Collection Midian Unmade!